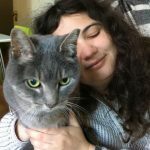 Twenty years ago, San Francisco Animal Care and Control (SFACC) had no kitten foster program. 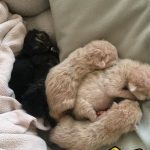 Sadly, many underage kittens brought into the shelter then did not survive. But that changed when Toni Sestak made a chance visit to SFACC. Right then and there Toni moved her volunteer commitment to SFACC. Underage kittens need a safe place to grow until they are big enough (2 lbs) and healthy enough to go up for adoption. They need to be socialized to people. They need vaccination shots, and sometimes medicines. And the tiniest ones (bottle-feeders) need to be fed with a little baby bottle 4 to 6 times a day. In her first year at SFACC it was mainly Toni and a handful of volunteers, doing as much as they could. But each year Toni enlisted more volunteers. In 2003 she organized her group into Toni’s Kitty Rescue and received her nonprofit status. Since then Toni’s has fostered over 8,000 kittens! 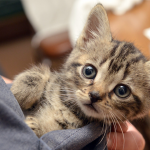 Now at 85 volunteers and still growing, TKR cares for 800-1,000 orphaned kittens annually. The kittens TKR raises are available for adoption at SFACC, SFSPCA, and SF Pet Food Express (Market St.). If you add it all up, Toni Sestak has personally fostered over 1,500 kittens in the last 20 years. Hard to believe, unless you’ve seen slim 5’3″ Toni during kitten season. She walks distances easily with a 15-20 lb. cat carrier packed with her foster kittens in each hand. During kitten season – from late April to early November – Toni is busy almost non-stop. 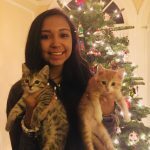 She advises fosters on care and concerns, meets with prospective fosters, bottle feeds tiny kittens, buys and orders kitten care supplies. And that’s just a slow morning. Born and raised in California, Toni grew up around cats, dogs, all sorts of animals. Her mom was crazy for cats. But she didn’t begin fostering kittens until her cat passed away in 1995. By then she had been longtime married to Tom Sestak, raised 5 children (eight grandkids and counting! ), and lived most of her life in San Francisco–where she now resides. Toni's Kitty Rescue is a registered 501(c)(3) nonprofit organization founded by Toni Sestak in 2003. 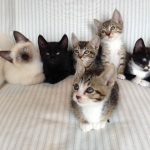 The TKR community is an active, dedicated group of volunteers who provide foster care for orphaned kittens that are too young to be considered adoptable. TKR works hand in hand with San Francisco Animal Care and Control to provide life-giving care to over 800 kittens annually. © Copyright 2016 Toni's Kitty Rescue. | All Rights Reserved | Photography provided by Josh Norem, The Furrtographer. | Website design by Switchblade Creative Studios.